Gears of Halo - Video game reviews, news and cosplay : What is the plot of The Impossible Life and the Possible Death of Preston J. Cole? What is the plot of The Impossible Life and the Possible Death of Preston J. Cole? In the beginning, before Halo: Combat Evolved was even released on the original Xbox, Bungie had thought big and organised a book tie in. That book was The Fall of Reach. It's job was to set up the events and plot that had lead to the start of the Halo game. It's author was a chap called Eric Nylund and he went on to write two more of the 5 Halo novels that followed the Fall of Reach. Halo: Evolutions is a collection of Halo fiction in the 'short story format'. It seems only natural then that Microsoft bought back Eric Nylund to have a crack at a story. 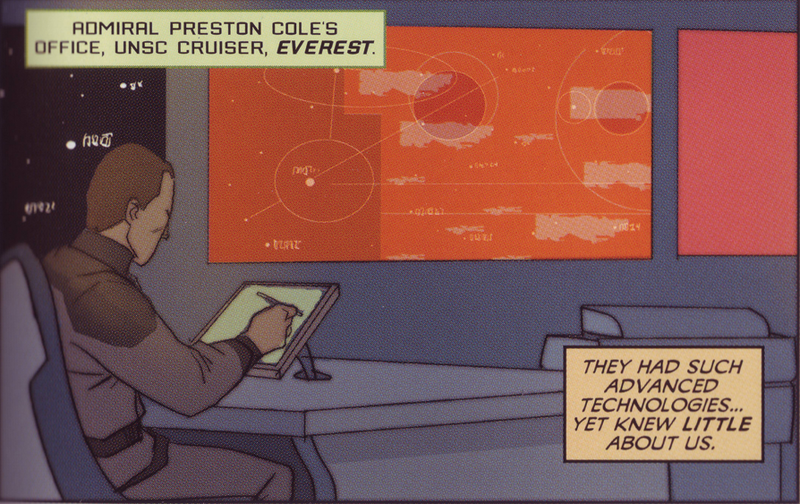 'The Impossible Life and the Possible Death of Preston J. Cole' is his take on one of the Halo universe's key characters. The title itself is most interesting. On the face of, it says nothing. It's almost in the style of The Curious Case of Benjamin Button and other book titles that seem to describe the plot. Players of the original Halo game may remember that the Pillar of Autumn arrived at the Halo, after following the directive known as The Cole Protocol. Named after the protagonist of Nylund's short story, the Cole protocol was itself the subject and name of the sixth halo novel. The plot of Nylund's story gives an insight into what may have really happened to Admiral Cole as according to the official records, he died...but did he? Clearly, this isn't the full plot summary, it will be here when I've read the whole thing! The ship from the first Halo game wasn't the "Amber Clad" (the ship is actually called "In Amber Clad") it was the Pillar of Autumn. The In Amber Clad found the second Halo from following the Prophet of Regret as he left Africa in Halo 2. You're right. My bad. Thanks!